So for those of you who've been following me for a while, you know I'm just a little bit too crazy/high energy for my own good. In the spring, knowing my piano teaching income would come to a halt, I began looking for a part time job to keep the debt snowball going. Not having much luck, and finding a $10 per hour cleaning job as my only viable option, I decided that if I were going to clean, I'd really like to make a bit more per hour than that. That's when it hit me: I'm good at cleaning.... 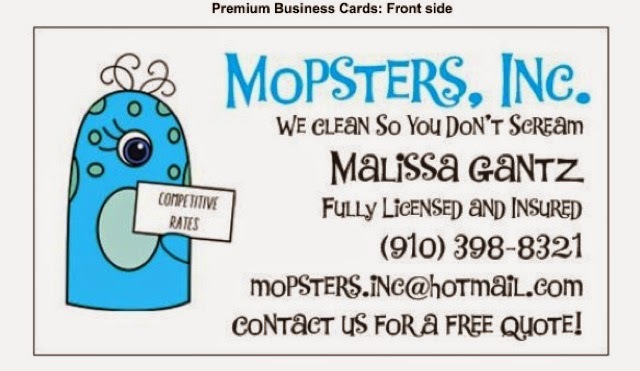 I enjoy cleaning.... Why not start a cleaning company? So, I did. Yep, I'm crazy. Crazy cleaning lady!! I found a real estate broker on Carolina Beach willing to give us a chance with three condos she manages as weekly beach rentals. They're absolutely beautiful and we've been cleaning them for about six weeks now. The broker we're working with is awesome and has been throwing extra jobs our way, too. (Thanks, Cindi!!) 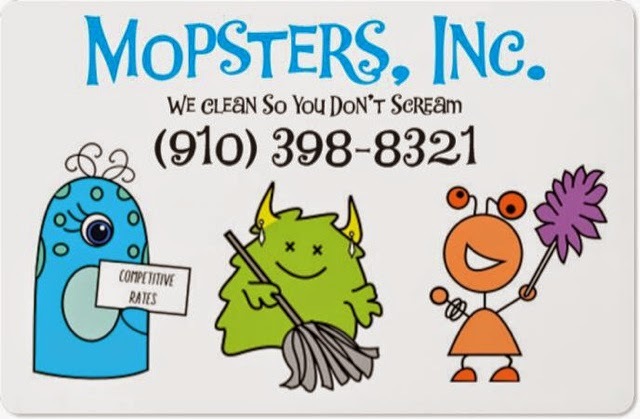 So far, Mopsters has replaced all of my piano income, plus some! I've even hired all of my kids to help me so as they're earning, I can teach them to give, save, and spend. Not having the extra money to buy them things during the debt snowball, I find it an absolute treasure to be able to give them work so they can buy things for themselves. It's a win/WIN!! So here's to dusting and mopping our way to debt freedom! As the summer winds down and the beach condos are no longer rented every week, I'll need to find some new cleaning gigs, but for now, we are thrilled to be working every weekend. Debt freedom....here we come! !